Chief rivals Pat Richard (Squamish, BC) and Nathalie Richard (Halifax), of Subaru Rally Team Canada finished second in the rally. The pair had minor problems early in the day which hampered their efforts. The team won four of the 17 stages, but were unable to match the overall pace of L'Estage and Hall. “We had a good start to the rally, and second place is a good start to the year,” said Richard. “We had some small boost problems, and while we didn't lose a lot of time, we just lost a little bit here and there. The Richard siblings have reunited in the car after eight years of competing as rivals. The pairing is exciting to many rally fans who love to see the brother and sister compete together. A battle ran through most of the rally for the final podium spot. Eventually, and despite transmission problems just past the midpoint of the rally, Alexandre Beland (Val d'Or, QC) and Lyne Murphy (St Constant, QC) clawed up the order to finish third overall. The pair have spent the last season preparing to take on the entire championship series, and the third place was an ideal finish to earn points towards a title bid. “When we started, we didn't know what kind of pace the other competitors were running. We were 13th on the road to start, so we had to manage our pace to move up in the running order,” said Beland. “We pushed hard and were reseeded in fifth place after the first six stages. From there, we just had to maintain that pace. Two Wheel Drive action was thrilling, with every team struggling with the icy conditions, and soft snowbanks on the forest stages. Simon Dube (Jonquiere, QC) and Pat Lavigne (Mirabel, QC) were leading for most of the event, when on the penultimate forest stage the pair got stuck on a snowbank. A similar mistake last year forced the team to retire, but competitor Chris Greenhouse stopped to pull Dube and Lavigne back onto the road. Despite losing eight minutes, Dube had a sufficient advantage over his rivals to retain the lead all the way to the finish. Second in class went to Martin Walter (North Gower, ON) and Ferdinand Trauttmansdorff (Nepean, ON), one of the few cars with minimal problems during the event. The Ontarian team showed good judgement in setting their pace all rally. Greenhouse (Cincinnati, USA) and co-driver Billy Irvin (Puyallup, USA) thought they were out of the rally after three stages, getting stuck in a snowbank for over 20 minutes. After reviewing the situation, organizers allowed Greenhouse to continue. The pair finished third in two wheel drive, Perce Neige serving as their first Canadian event together. In Production all-wheel drive, the team of Alexandre and Nicholas Ouellette showed the value of local knowledge. Hailing from nearby Messines, QC., the two won their class and finished ninth overall in their Subaru Impreza STI. Second in class was claimed by Warren Haywood (Chelsea, QC) and John Merry (Ottawa), ahead of third place Bruno Laverdiere (Laval, QC) with Hubert Gaureau (Quebec). 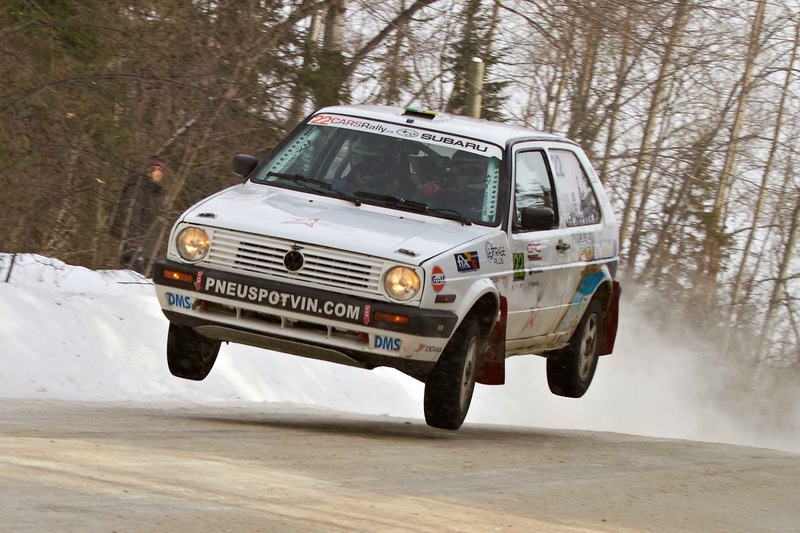 The Rallye Perce Neige is the only true winter rally in the Canadian Rally Championship. Heavy snowfalls all winter leading up to the event have created some of the best conditions in the last ten years, according to Clerk of the Course, Sylvain Erickson. 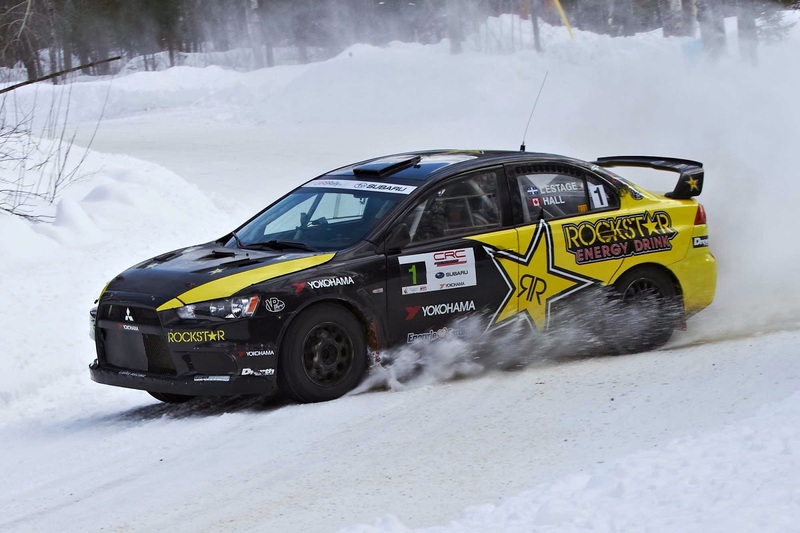 The first loop of stages took place in town, and are fast, icy stages. 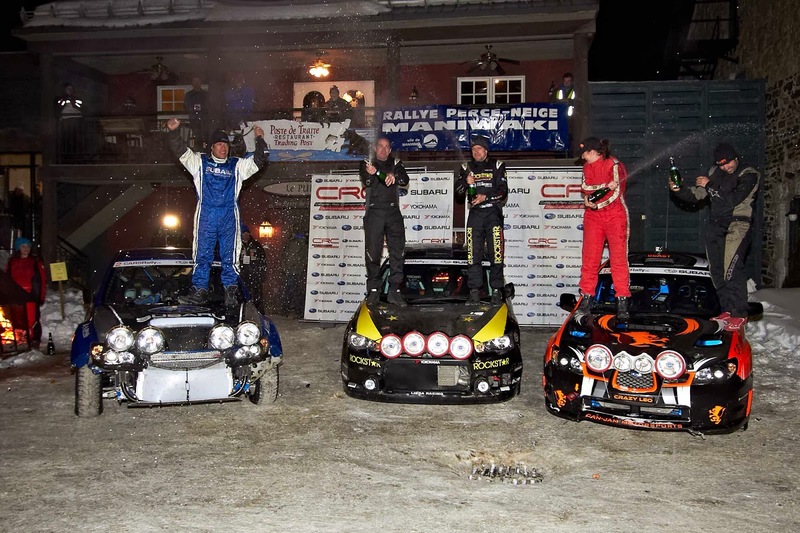 The stages making up the second stage saw varied conditions, and a taste of what was to come. Both the third and fourth legs were made up of three forest stages totalling 87km of stage distance. Characterized by challenging technical roads, the forest stages were lined by tall snowbanks and ran deep into the night. To add to the challenge, teams are not allowed to use studded tires. The rally was contested over 209km of special stage. motorsport sees drivers and their co-drivers take modified road cars to the limit as they achieve blistering speeds over closed-road courses that typically cover more than 150 kilometers of gravel, dirt or snow-covered roads. Fans can get up close to the cars in the service areas and catch all the action from specially designated spectator points located at the best spots on the route.